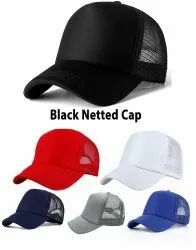 We have gained recognition as the significant organization of an exclusive collection ofNetted Mesh Baseball Caps.These Netted Mesh Baseball Capsis stitched using optimum quality fabric and pioneering machines in compliance with industry quality standards. Additionally, we provide this in several designs and patterns for our patrons to choose from. We are the leading supplier and manufacturer of the Cap. Our caps are available in different sizes and style which meets the essential necessity of our clients. Premium quality material and ultra-modern techniques under the creative guidance of dexterous designers in tune with the current fashion trend. Our products undergo a variety of quality checks before getting dispatched. Netted Red Mesh Cap. Made With High quality of polyester material. For cool look, fashionable looks, funky looks and awesome looks. 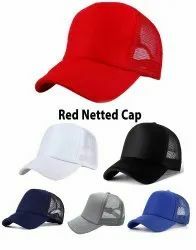 Use Netted Red Mesh Cap for cricket, sports, outdoor, travelling and college. Not only stylish, but also protecting you from dirt, dust and sunlight. So style yourself with this trendy fashion accessory for all groups! Easy To Match Your Outfit. Netted Grey Mesh Cap. Made With High quality of polyester material. For cool look, fashionable looks, funky looks and awesome looks. 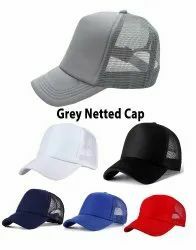 Use Netted Grey Mesh Cap for cricket, sports, outdoor, travelling and college. Not only stylish, but also protecting you from dirt, dust and sunlight. So style yourself with this trendy fashion accessory for all groups! Netted Navy Blue Mesh Cap. Made With High quality of polyester material. For cool look, fashionable looks, funky looks and awesome looks. Use Netted Navy Blue Mesh Cap for cricket, sports, outdoor, travelling and college. Not only stylish, but also protecting you from dirt, dust and sunlight. So style yourself with this trendy fashion accessory for all groups! Netted Light Blue Mesh Cap. Made With High quality of polyester material. For cool look, fashionable looks, funky looks and awesome looks. 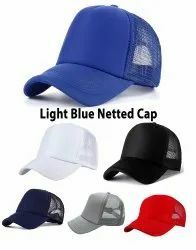 Use Netted Light Blue Mesh Cap for cricket, sports, outdoor, travelling and college. Not only stylish, but also protecting you from dirt, dust and sunlight. So style yourself with this trendy fashion accessory for all groups! 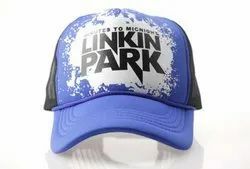 Printed Cap. Made With High quality of material. For cool look, fashionable looks, funky looks and awesome looks. Use Embroidery Cap for cricket, sports, outdoor, travelling and college. Not only stylish, but also protecting you from dirt, dust and sunlight. So style yourself with this trendy fashion accessory for all groups! We are the leading supplier and manufacturer of the Cap and accessories. Our product is available in different sizes and style which meets the essential necessity of our clients. Premium quality material and ultra-modern techniques under the creative guidance of dexterous designers in tune with the current fashion trend. Our products undergo a variety of quality checks before getting dispatched. Classic Netted baseball Cap. Made With High quality of material. For cool look, fashionable looks, funky looks and awesome looks. 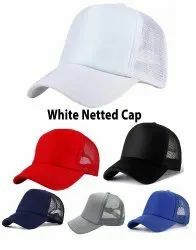 Use White plain cap for cricket, sports, outdoor, travelling and college. Not only stylish, but also protecting you from dirt, dust and sunlight. So style yourself with this trendy fashion accessory for all groups!